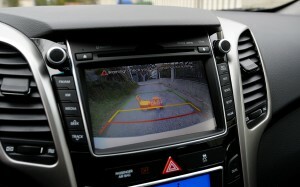 Not long ago, camera systems for automobiles were the domain of futuristic concept models and science fiction movies. Today, automakers have made it standard equipment on most family-oriented vehicles, and aftermarket back up camera systems are flying off the shelves of auto parts stores and auto customization shops. Once you try one, you’ll wonder how you ever got on without it. The point of a back up camera system is to give the driver visual access to those areas that would otherwise be blind spots. The camera or cameras record those areas, and then transmit the signal to a monitor in the dashboard or center console area. In multi-camera setups, a control panel allows the driver to cycle through the views, or to display the views in a split screen format. Due to the intricacies of monitor installation, most consumers prefer that the back up camera system be professionally installed. 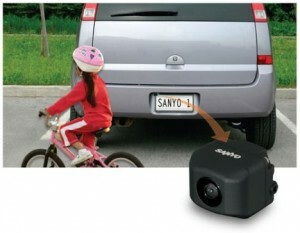 Due to the nature of back up camera systems, there is a wide range of styles and configurations available. In the style commonly installed at the factory, the camera is in the taillight, and hardwired to the monitor and control system in the dash. There are also wireless systems where the camera and receiver communicate via RF. These wireless systems are easier to self-install, but they can be susceptible to interference. There is also a wide range in terms of quality of the video recorded and the monitor on which it is displayed. While high-quality displays carry a premium, the ease-of-use they provide is generally worth the additional cost. Many families requir e large vehicles, such as SUVs or minivans, in order to meet their capacity needs. Anyone who has ever driven an SUV or minivan knows that there are areas in the rear that the driver is completely blind to no matter how they configure the mirrors. These blind spots have led to many crushed bicycles and trashcans. You probably even know someone in your neighborhood that has done this, or perhaps you were the culprit. If it’s so easy to run over an object as large as a trashcan or bicycle, then imagine how simple it would be not to see that small child that darts into the path of the reversing vehicle.